Start here. Find data tools and current information on the labor force, unemployment, and the housing market. Published by the New Jersey Department of Labor. Use the tabs to see labor force estimates at the state, county, and municipality level. Published by the New Jersey Department of Labor. Income data for New Jersey residents from 2001-two years prior to date. Published by the State of New Jersey Division of Taxation. Database for mapping federal and institutional data; some data sets can be downloaded. Available remotely to State Employees & TESU staff, faculty, and students. Based on public data, this interactive site is published by the New Jersey Association of Realtors. NJCounts is an annual census of homeless New Jersey residents. Reports are available for each New Jersey county. The count is facilitated by Monarch Housing Associates, a Somerset County-based affordable housing advocacy group. The State's official list of names of locales, areas and municipalities in New Jersey. Originally compiled by the Works Progress Administration in 1938, this publication was reissued by the New Jersey Public Libraries Commission in 1945. Digitized by the State Library. A listing of the 565 municipalities in New Jersey arranged by county, published on New Jersey State Library website. Use Geographic Names Information Service (GNIS) database for New Jersey places and features on USGO topographical quadrangle maps. The entry gives the feature type, county, coordinates and the quad in which it appears. New Jersey State Data Center provides general information on population, housing and the economy. Also provides frequently requested US Census Bureau information at the national, state, county and municipal level. Published by the New Jersey Department of Labor. Click the Municipalities tab to view reports. Current report is 2010-2017 (updated annually). Historic estimates are available for 1971 to 1979, 1981 – 1989, 1991-1999, and 2001-2009. 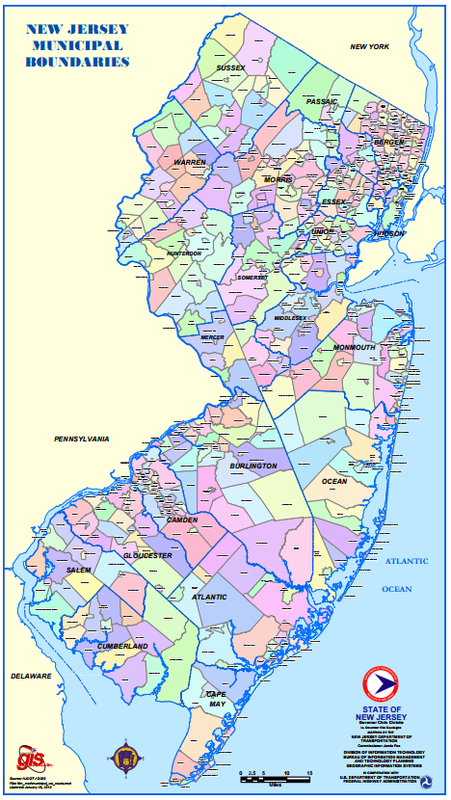 The New Jersey Data Book is a searchable database of statistics on New Jersey’s 565 municipalities, its legislative districts, counties, schools, elections, and people. It is published as a free public service by Rutgers' Center for Government Services. Available data sets include area/density, population, poverty, crime, employment, housing, fiscal resources, government expenditures, property tax burden, voters & turnout, election results, and school data. Use this to resource to identify trends, share data with residents, or write grant applications. While no longer published in print, older print editions are available at the State Library. 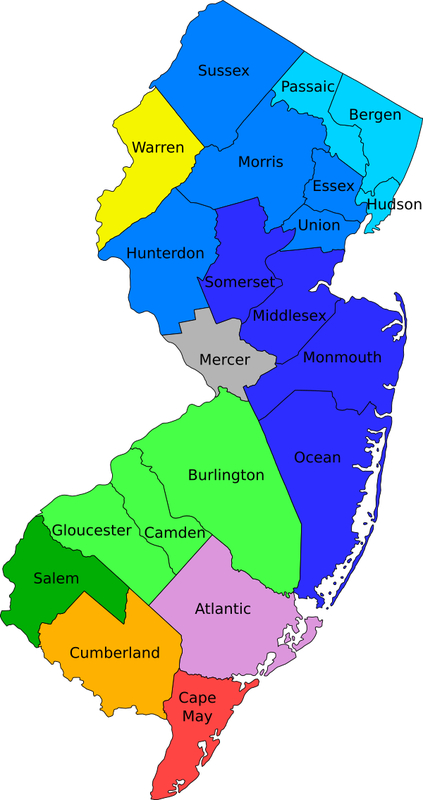 Web sites about New Jersey municipalities. These links may or may not be "official" pages for these towns. They contain useful information about the municipality and its surrounding area. A database for searching for New Jersey mayors by county, municipality, or mayor's name. All 565 municipalities in New Jersey, regardless of their form of government, can be classified as belonging to one of five types of municipal government: 1) Borough 2) Township 3) City 4) Town 5) Village. Published by the New Jersey League of Municipalities.